Hi guys today we are going to share an another great tool for your PC Windows, "FRP Bypass Tool" this is one of the ueful and compatible tool for PC and Tablet device, this tool will enables you Remove FRP google verification on all Android and PC devices including nexus with latest security patch. FRP Bypass is also a Tool like QC Tool FRP Reset Password, BST Dongle Tool, Samsung FRP Reset and TR FRP Tools etc. Note>> We have arranged SEPARATELY Links below for devices Like, Android and PC Windows operating systems. ◾FRP a.k.a Factory reset protection. Google introduced this security feature with the release of Android 5.0 Lollipop in 2014. ◾It protects your Android devices from unauthorized access if you lose your phone, stolen or someone does a factory reset without your permission. ◾For example, a phone with Activation lock enabled is stolen then someone with your Google Account password or screen lock information can only get access. ◾All Android Smartphones manufacturers have now implemented the new security feature including Samsung, Google (Pixel and Nexus series), LG, Sony, HTC, and Huawei latest flagship devices. ◾Google is now serious about ensuring the user privacy and security. For this reason, they released a new feature called app permission manager with Android Marshmallow. 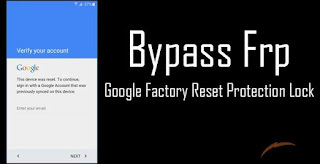 FRP Bypass Apk: No doubt that Factory Reset Protection is the best security feature launched by Android to its smartphones. The main purpose of FRP security feature is to secure your data. But in case, if your phone is somehow stuck at Factory Reset Protection security which is known as FRP security also then you might be finding a solution to this problem and how to bypass FRP security. If you are looking to know how to FRP bypass and want to FRP bypass apk download, then your search ends here. now just download FRP Bypass APK by using below given links and install it on your device for free. the download is given at the bottom of this page and that works properly 100% this time. it is for all Android and Tablets.